:) That's excellent. 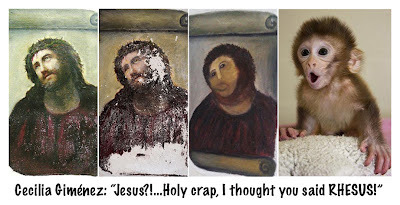 Her next step probably would have been to add a beard made of squirrels. 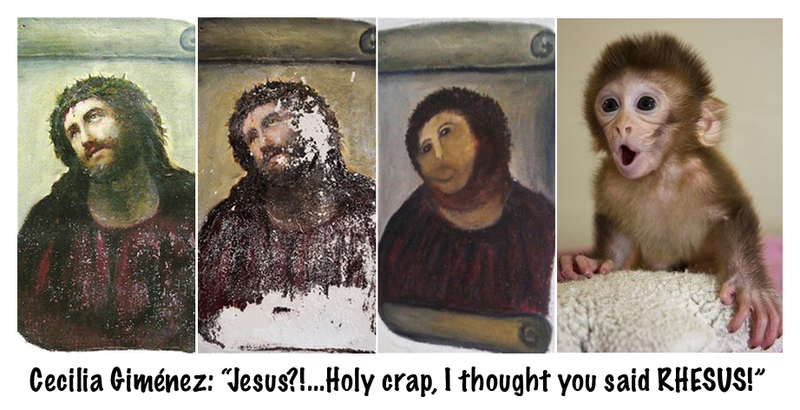 Looks like someone went ape on that painting alright.